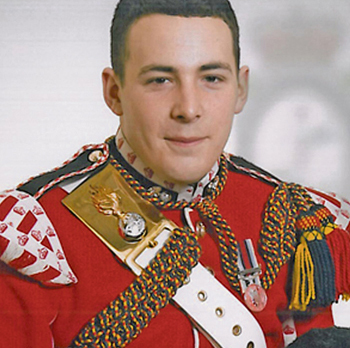 One of the two men accused of killing Fusilier Lee Rigby in a savage attack in Woolwich earlier this year told a court that the drummer was targeted simply because ‘he was the soldier that we spotted first’. In a police interview played to jurors at the Old Bailey, Michael Adebolajo, said the 25-year-old soldier was not singled out, and seemingly attempted to justify his actions, calling the soldier a ‘fair target’ because people in the Army ‘know their lives are at risk’. He told officers that Fusilier Rigby was ‘like the non-Muslim version of myself’ and said the alleged murder was not a ‘personal vendetta’. The 28-year-old assailant added that he was not sure how the first blow commenced yet stated: “The most humane way to kill any creature is to cut the jugular. Also revealed at the Old Bailey, was that both Adebolajo and Michael Adebowale, 22, owned texts covering jihad and martyrdom, with one of the pair also owning a magazine published by Al Qaeda. At the home of Adebolajo's father, police retrieved books and two laptops belonging to the suspect containing articles and lectures with titles including ‘Extreme Islam’, ‘The book of Jihad’ and a magazine published by Al Qaeda in the Arabian Peninsula entitled ‘Inspire’, prosecutor Oliver Glasgow told the court.